The Zhongshan Metro Shopping Mall (Chinese: 中山地下街; pinyin: Zhōngshān Dìxiàjiē) is an extensive underground shopping mall in Zhongshan District and Datong District, Taipei, Taiwan. It is located at Changan West Rd., No. 52-1. The mall stretches from Taipei Main Station in the south to Shuanglian Station in the north.The entire mall is 815 meters long and has 10 exits (plus 4 emergency exits). 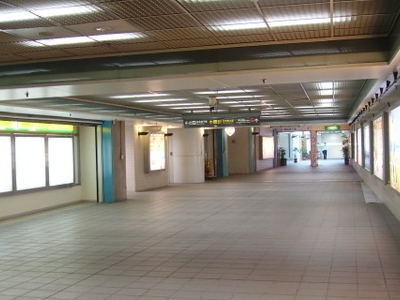 It was the first underground mall in Taipei. It has 81 shops. Here's the our members favorite photos of "Malls in Taipei". Upload your photo of Zhongshan Metro Mall!